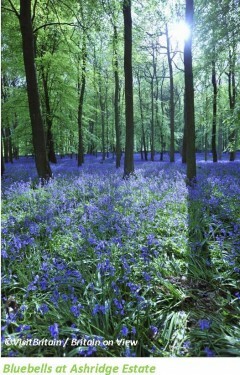 Bluebells are a spectacular sight on any Spring walk and the National Trust’s Ashridge Estate is an excellent place to see them in all their glory. If you are keen to visit the Ashridge Estate we recommend a gentle stroll along Hal-Zen’s “Ashridge - Monument - The Ridge Run” route. Hal-Zen’s walk takes in the sights around this National Trust property, allowing you to soak up the early 19th century atmosphere. The estate has played host to many film crews over the years, most recent of which was the three-time Golden Globe Award winning Les Misérables. Other blockbusters include: Sleepy Hollow and Harry Potter and the Goblet of Fire. The most prominent sight at the Ashridge Estate is the Bridgewater Monument, built in 1832. This tower is 108 feet tall, and was built in recognition of the Duke of Bridgewater’s pioneering canal development in the surrounding area – often quoted as the first true canal in Britain. 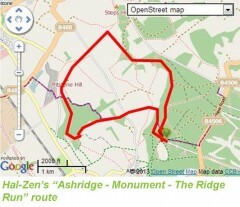 Hal-Zen’s route on the Ashridge Estate is a 6 mile walk, starting at the Bridgewater Monument and is free to download to your phone via the ViewRanger app. Click here for more information. If you are unable to visit the estate at this time of year, we also recommend visiting during June, when the herd of fallow deer give birth. There are also plenty of picnic opportunities around Ashridge estate, making this the perfect location for a day out with the family. If you do use Hal-Zen’s route why not comment here and let other people know what you liked about Ashridge Estate. If you take any photos then please feel free to post them on our Facebook page, or tweet them to us – we love hearing from you!